Reunion Island is a volcanic island located in the Indian Ocean at about 800 km east of Madagascar. In the context of global climate changes, Reunion Island is a very interesting site in atmospheric research for the detection of trace gases and the study of the transport of biomass burning plumes. 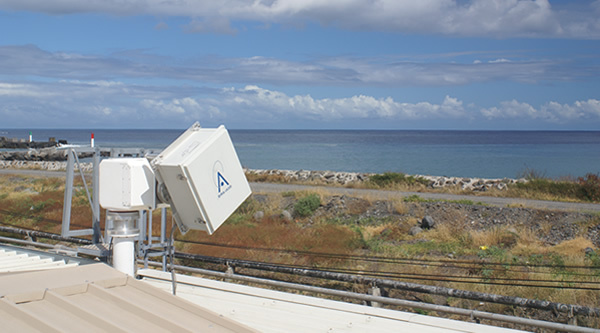 Reunion island is part of the ground-based Network for the Detection of Atmospheric Composition Change (NDACC). Ground-based Fourier transform infrared (FTIR) solar absorption measurements are performed by BIRA-IASB at the University of Saint-Denis since 2002 and at the new observatory located at Maido mount (2200m a.s.l.) since 2012. To complete these measurements, BIRA-IASB operates also MAXDOAS measurements at Le Port since April 2016 (after a first installation at Saint-Denis from July 2004 to July 2005).